This tour is operated between the village of Listvyanka and Chernaya valley. 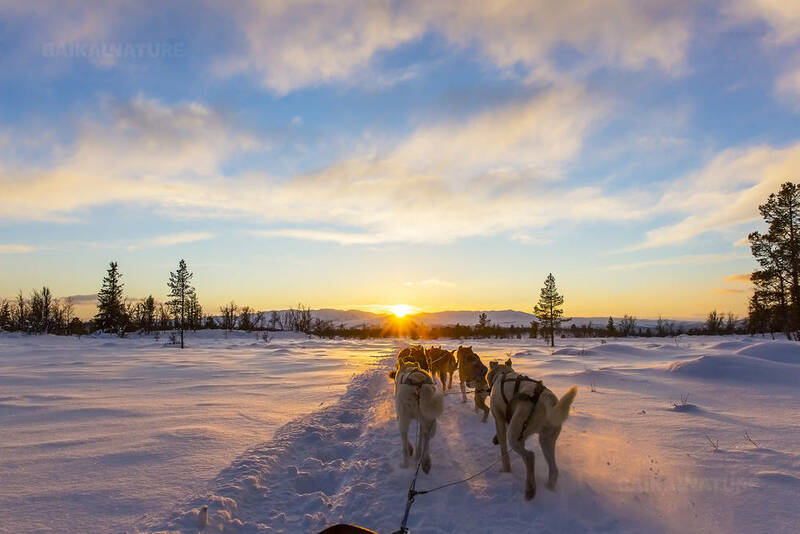 Driving your dog sled pulled by Baikal huskies you will travel through snow-covered taiga to reach "Dark" valley called so because of dense forest around. That's where is located your wooden hostel. The itinerary goes either on the frozen lake or in the forest - depends on season. This tour is a real miracle of the Siberian winter ! 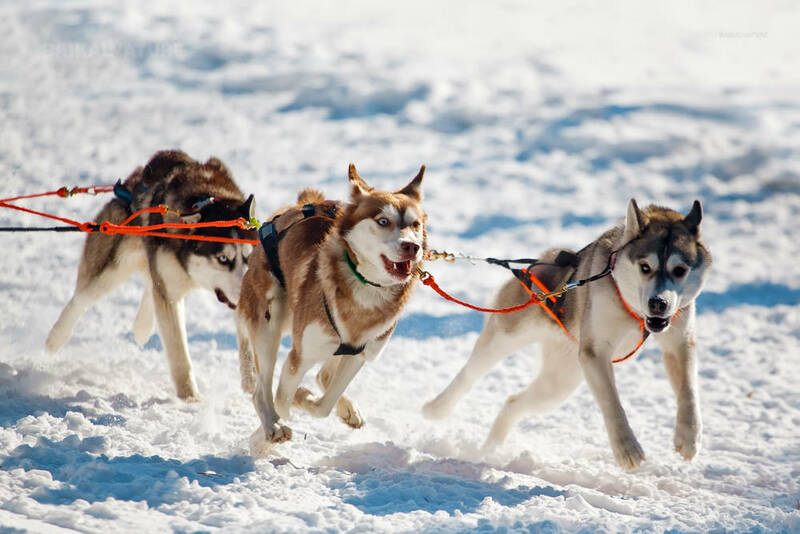 You will get in touch with the dogs and receive all the necessary instruction to drive a dog sled. You will get to know to the everyday life of the husky farm. Your instructor will help you to prepare the dog's team. You will make the first photos with lovely and kind dogs. Start of our dog sled ride through taiga towards Chernaya valley (16 km/10 mi north of Listvyanka). *Please be ready to ascension of the pass on foot. You will live in the lodge situated not far from the lake shore. Return to Listvyanka by the lake or by taiga - depending on season. Arrival in Listvyanka at 11:00. End of the program. This tour has an open date. Please contact us for more information. If your group is more than 4 participants it is possible to add a snowmobile. Meals included: dinner on Day 1; breakfast on day 2.